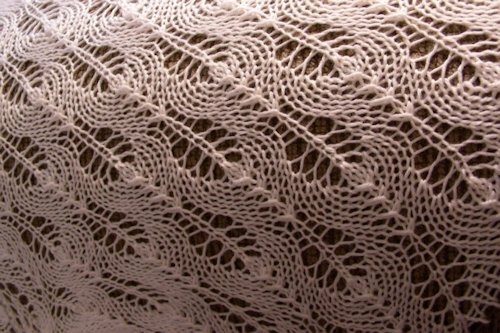 Lace is an openwork fabric, patterned with open holes in the work, made by machine or by hand. The holes can be formed via removal of threads or cloth from a previously woven fabric, but more often open spaces are created as part of the lace fabric. Lace-making is an ancient craft. True lace was not made until the late 15th and early 16th centuries. A true lace is created when a thread is looped, twisted or braided to other threads independently from a backing fabric.